My latest project…a shower curtain. Now gotta finish up Sophie’s pillowcases and her quiet book. Tennessee themed shower curtain. 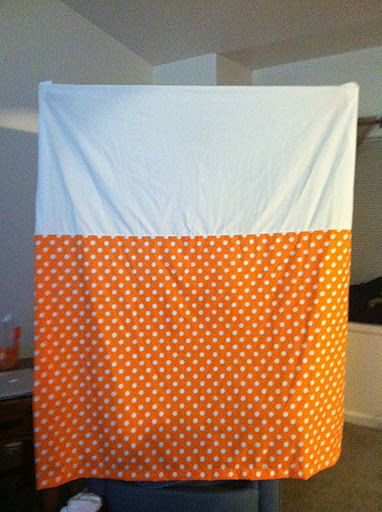 (For a friend) The orange shower hooks will look adorable against the white fabric. SO crafty! I love your creativity!